Latest weekly Insing column is "mrbrown and the Crabs"
The Singapore Armed Forces (SAF) always does the fun things when I am away. As I type this in Bandung, Indonesia, I read over the internet that there is a new rank called Senior Lieutenant-Colonel. The insignia for this new rank is two SAF crests (or 'crabs') and a braid. Current Lieutenant-Colonels (their insignia is two crests) will need to become Senior Lieutenant-Colonels before they can be promoted to Colonel (three crests). I can already hear the Lieutenant-Colonels talking amongst themselves. LTC 1: "Eh, you heard or not? Now must be Two-and-a-half Crab then can Three Crabs leh!" I am staying at the Sheraton in Bandung, Indonesia. I thought I would share a little video tour of my suite. Sheraton Bandung Hotel & Towers and Wotif.com are my kind sponsors for this trip and they take really good care of me. That said, I will give you my unbiased review of the place. There is a hotel wing near the pool, and a more private Tower wing overlooking the village. If you have kids, it is probably better to stay in the hotel side so that the kids can just access the pool faster. I am staying in a Tower Suite. I notice more business travelers here where I am. I was pleasantly surprised by the quality of the place. When my taxi pulled up, I felt a little relieved that there was a Sheraton in a quieter city like Bandung. My last Sheraton stay was in the Luxury Collection one in Bangkok. I also enjoyed that. At the Sheraton Bandung Hotel and Towers, kids can go pony riding in the mornings, or for a swim in the pool. The Laguna Spa provides massages and all manner of spa treatments (I went for one and it was heavenly). I tried the Black Borneo scrub and smelled of coffee and oils all day but felt refreshed. There is an internet business centre called [email protected] in the lobby which is free so that you can go online, or print stuff, and even use webcam chat. This I liked a lot. In-room internet is available for a fee (it is quite fast) via ethernet. I only wished there was wifi in the room so that I could surf from the bedroom. Also, there was a lack of power sockets at the desk where the network point was, so I had to unplug one of the lamps to power my laptop. A bit annoying, that was. The big screen tv in the room has loads of cable channels and a cool docking station that lets you hook up external media devices via HDMI and Composite connections. There were TWO of these televisions in my suite so I was happy as a bird. There is also a DVD player in the tv cabinet. Breakfast can be taken near the pool or in the more private Tower Lounge if you are a Tower Suite guest. You can see from the photo that the view is really pretty. I think the selection at the pool area is wider but if you like privacy, then eat breakfast at the Tower Lounge. On Monday night, I had a great four-course meal with their MarComm Manager Mr Eddy Soenarno (seated right) and General Manager, Mr. Syntio Camilleri (seated left), in their restaurant called The Feast (thanks Executive Chef Mahesa!). If you also like local food like me, you can just walk out to the street and hunt for local hawker fare. In fact, that's what I am going to do right now. I am as hungry as a hippo after a day of sightseeing and shopping. I'll share some photos and videos for those soon. To dinner I go! 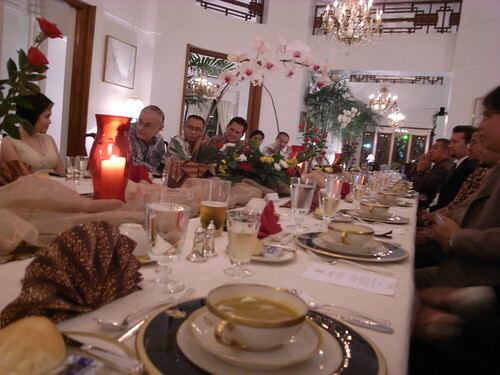 mrbrown in Bandung: Dinner time! 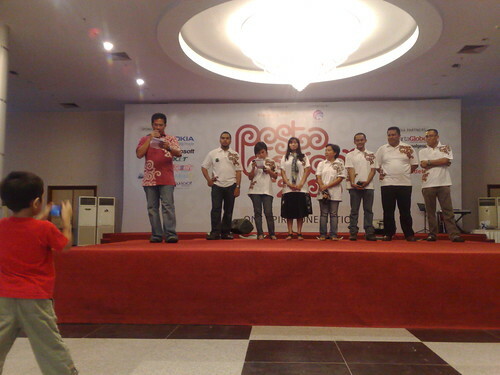 I am in Bandung, Indonessia, for a little R&R after Pesta Blogger 2009 in Jakarta. Of course the first order of business is to EAT. After a shuttle bus ride from Jakarta lasting 2 hours, I checked into my hotel and wander out for some much-needed food. I was not disappointed. 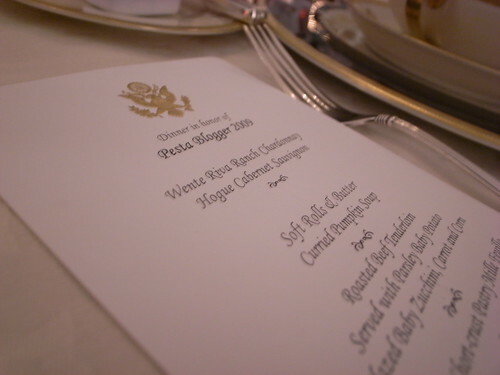 Dinner at the US Ambassador's residence. 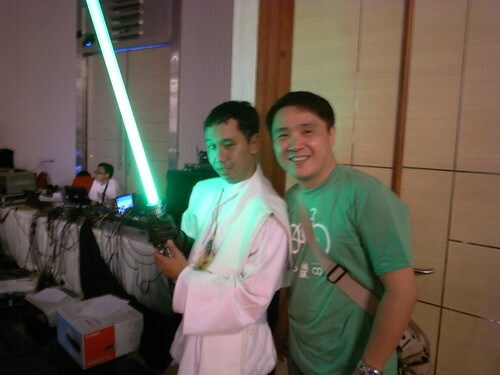 Ong Hock Chuan, boss of Maverick, the agency who organized the event for the third year running, having some fun at the event. You can read him at his twitter, @unspun and his blog. 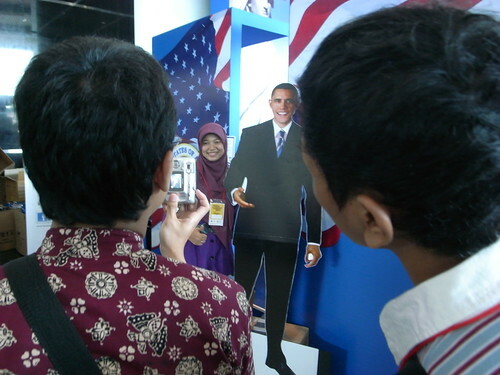 Voting booth for Pesta Blogger awards. 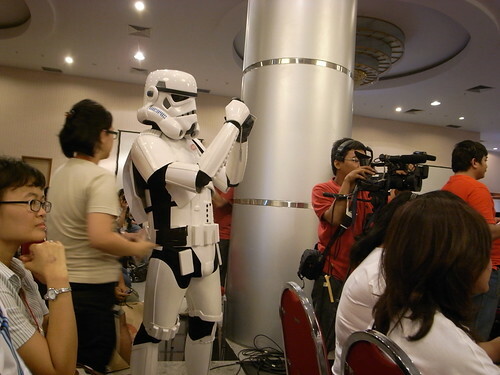 Storm Trooper blogger who also had his own photo-blogging to do. 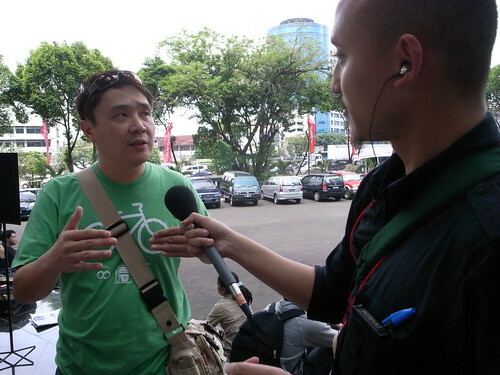 Tito and Sabrina from Radio Australia's Rantang Indonesia language service interviewing Australian travel blogger Anthony Bianco (a.k.a. The Travel Tart) and me. 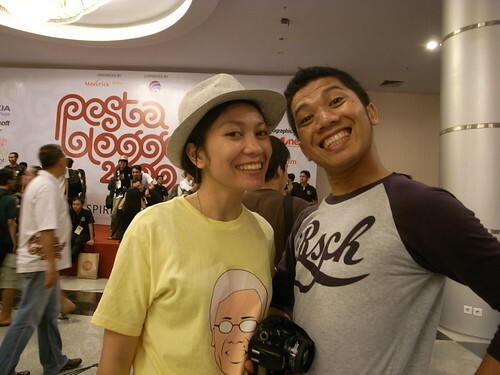 Novita and Gage, from the Jogja Bloggers Community. Me and the very talented blind blogger, Ramaditya. (www.ramaditya.com). Ramaditya is a game music designer, cosplayer, blogger and author of a book. He is an inspirational blogger indeed. Anthony Bianco and I slept in after the full day we had at Pesta Blogger 2009. We did manage to wake up for a quick breakfast in the hotel before returning to our respective rooms for a further nap. We decided to cab out to the mall, the Grand Indonesia Shopping Town, for lunch. 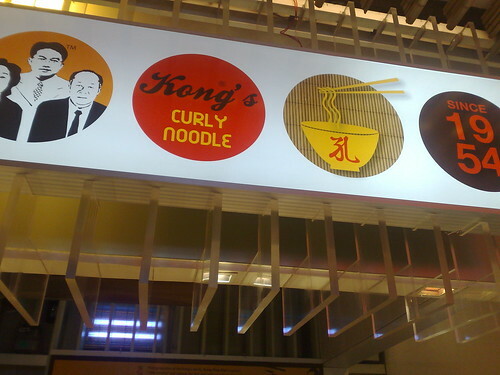 I was a little worried about eating Kong's Curly Noodle. Sounds so wrong. The Grand Indonesian is a huge-assed mall. We walked about for a brief bit of window shopping after our airconditioned food court lunch before heading back to the hotel for a foot and back massage. 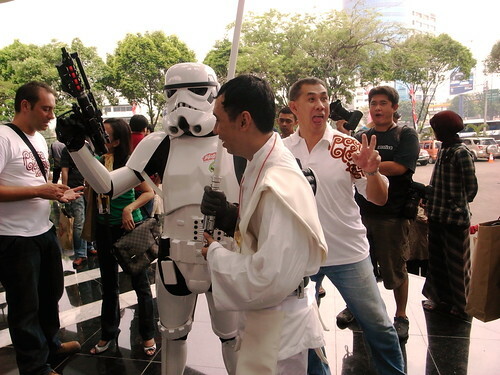 It is the same ritual Anthony and I did for last year at Pesta Blogger 2008. Gotta have our Reflexi before we leave Jakarta. And it only cost us 60,000 rupiah (less than S$9!) for our 90 minutes. Anthony is heading home tonight, after a month exploring Indonesia backpacking his way through the lesser known cities and staying with warm and friendly blogger communities. I'm going to Bandung for a short stay after checking out. I've got a two-hour shuttle bus ride waiting for me after the massage. But I'm prepared with my iPod Touch and Onda media player loaded up with tv shows and movies. And what an atmosphere they have here in Jakarta! More than 1200 registered to come and bloggers travelling from all over to attend. 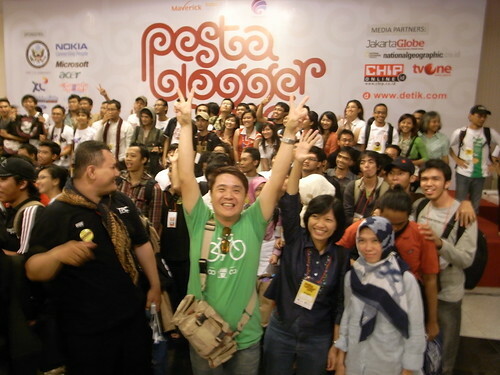 Bloggers came from Bandung, Palembang, Bali, and Jogja. Some bloggers from Kalimantan even travelled 12 hours overland to get here. That's how committed they are. I love the community spirit and passion they have. We have a lot to learn from the enthusiastic way they exercise freedom of expression here too. You can install high speed fibre optic cable in Singapore, but you can't install the Heart they have in the Indonesian online community. 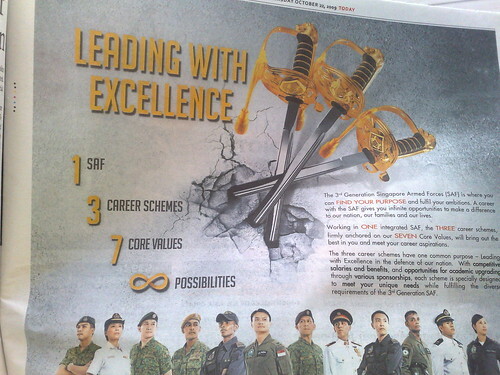 I was very amused by this SAF recruitment ad showing three swords in concrete. At first glance, my thoughts were: "An SAF career is like these three swords, short and broken." Or perhaps: "Your career is as stuck as these swords, very hard to pull out." Not the message they're after, I'm sure, but not everyone thinks of King Arthur and Excaliblur, you know. Latest weekly Insing column is "mrbrown and the Sai"
Toyota just launched a new hybrid luxury sedan in Japan. The name of the car is, wait for it, wait for it... 'Sai'. What does it run on - solid fuel? 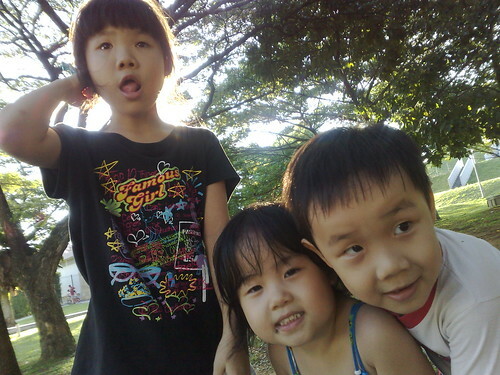 We took the kids to the park nearby, just after picking up Isaac's birthday cake. At first, we thought to take them to the mall but we decided that it was more fun to get away from the crowds. By 5pm, the weather was not so hot anymore and the kids played on the swings and ran on the grass. Isaac and Joy befriended a sweet Indian girl who was the same age as Isaac. 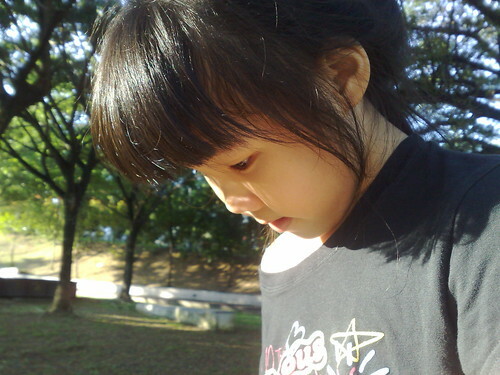 Faith just enjoyed the trees, standing on the metal Chinese chess table. Then it was back to my mom's place for homecooked dinner and cake. I hope the boy likes his present. mrbrown reporting from Cancun, Mexico! I learn how to cook an omelette French style, in the spirit of Julia Child! Check out the movie Julie & Julia (links to movie official site). Latest weekly Insing column is "mrbrown and the Yoyo"
My son, Isaac, recently bugged me for a yoyo. Usually, I can brush him off but he turns six in a few days time so I felt a need to get him a present he'd like. What I didn't realise was that yoyos are not what they used to be. I remember my first yoyo - a red yoyo I had bought from the auntie who drove us the school bus to take us to school. In those days, my private school bus operator would supplement her income by selling snacks and toys to the kids she ferried. The area at the front of the bus was like a fully stocked store. You could buy sour plums, potato chips and satay sticks of unknown preserved meat. I loved that mystery satay. We used to call it Rat Meat Satay because nobody knew what the sticky yellow strips of meat were made of. Joy playing doctor with Mommy: "I take this knife and cut your skin and the baby come out." Then she takes the imaginary baby out out mommy's tummy and makes a wah wah sound. 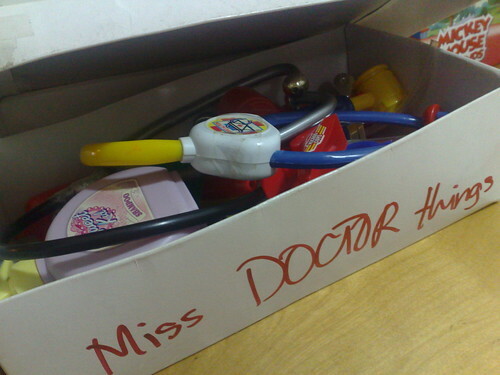 What an active imagination this 4-year-old has. Who wins and who loses in the football match that is the EPL rights? Kick off at mrbrownshow.com! mrbrown goes to the Grand Prix: Episode 10, Race Day! It's Race Day! And mrbrown soaks in the sights and sounds of the Singapore Grand Prix with you! I've been on a Thai commercial roll lately. This is a really funny series of commercials. Another one from the same series. The translation of what the lady is saying is roughly, "This﻿ type of insurance is very good indeed. After 10 years, you'll get your money twofold. If something happens to you before..."
And this one for a product I use a lot for the kids and after I ride. Brilliant remix of Kanye's interruption of Taylor Swift's VMA moment, by Tronovitch. By the way, in reply to Thorbjorn Jagland, the Nobel Committee’s chairman who said, "Who has done the most in the previous year to enhance peace in the world?" and "Who has done more than Obama?" Kanye, man. Kanye made the greatest world peace of ALL TIME. ALL TIME! Update (I had time to think of nonsense like this because my Timeline was not updating): "If you tweet a tweet and it does not update on other people's frozen Twitter timelines, did you really tweet?" In case you are wondering why you have not seen any updates on your Twitter timeline for the last hour or more, the world did not end without informing you. It seems that Twitter is acting up for everyone else too. Even Mashable. I found a few replies to my tweets like from @superjaberwocky and @NicoleJAM and realised I was not the only survivor of this Twitter Apocalypse. @superjaberwocky told me: "I have only survived by searching for Tweets amid the ruins." I believe that's New Zealand soul singer, Hollie Smith, on stage, doing sound checks before her evening concert, in conjunction with the Sun Festival. Latest weekly Insing column is "mrbrown and the Happy"
A recent UBS report showed that the standard of living in Singapore was slipping, and while Singapore was one of the most expensive cities to live in, the purchasing power of its people was going down. That is sobering news. It makes you want to go out and buy yet another expensive item on credit to cheer yourself up. While I cannot speak for others, I would like to share my thoughts on the matter. It is true that for my family, things have gotten more costly while our family income has not appreciated in a big way. But we count our blessings that our bills are (mostly) paid, that our belt needs to be tightened only some of the time, and that we can still afford one or two nice things in life (as long as we save up for it). I interview Nico Rosberg and take a tour of the AT&T Williams garage and Philips motorhome in Singapore.